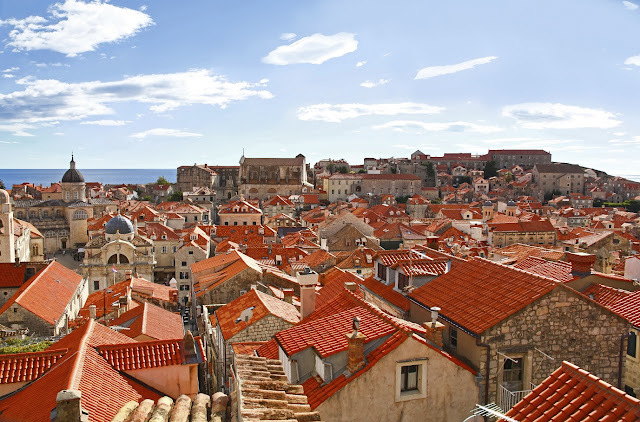 It is our last day here in Dubrovnik and I am actually quite sad to leave. It has been an absolute adventure and brilliant time spent with my little Cha-Chi, as this was also a trip for her 2nd Birthday, I just can not believe she is two, time certainly flies. We decided or should I say I decided to head back into the my favourite place the Old Town, grab some last minute gifts and try and find a great lunch restaurant, but not before we did some last minute sightseeing and walk The Walls of Dubrovnik. Unfortunately, I did not take as many pictures as I would have liked A) It is super freaking high up there B) I was quite scared about Leanora, as the walkway was very narrow and the walls were not very high C) Because I am a bit of a chicken! We did not make it all the way around but I made sure to pluck up enough courage to take a picture of these gorgeous views before we left. We had a last minute walk around the city, we left no corner unturned. Leanora had fallen asleep before we arrived at Proto. I took a seat parked the buggy up and ordered a glass of a much-needed wine after the walk and climbing the stairs of The Walls of Dubrovnik, just to calm my nerves! I have to say, the wine was not super great, those that I tried whilst in Dubrovnik, but this one at the referral of the sweet couple sat next to me I ordered a glass, a large glass it is ok Leanora was asleep and I am on holiday, but a lovely glass of Posip Kunjas. This was absolutely a tasty choice full of body and went very well with my starter of Octopus. It was absolute heaven, so fresh with loads of bold flavours that complimented the Octopus. The starter was very impressive and was very generous, so much so that I could not eat it all. I certainly suggest that it worth sharing any of the starters, as the come as a main. This for me was my best dining experience, the waiters were lovely, the atmosphere was amazing I wish I had just found this gem prior to our departure. 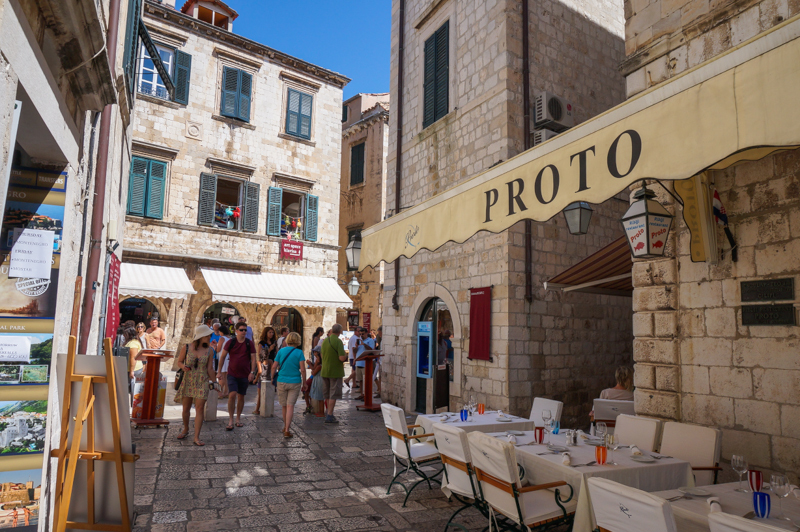 If you are ever in Dubrovnik and looking for great seafood and plonk (wine FYI) I would certainly and highly recommend Proto, you can find them at Široka ul. 1, 20000, Dubrovnik, Croatia.